The Travelon Double Zip Waist Pack has two front zip pockets and one rear zip pocket. The centre compartment has three wall pockets. The adjustable strap fits waists up to 46 inches. This lightweight pack is made from 190T ripstop which is water and stain resistant. 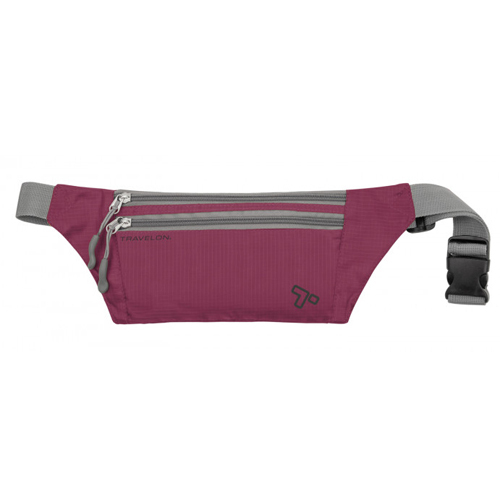 The Travelon Double Zip Waist Pack - Wineberry has many exciting features for users of all types. See the Travelon Double Zip Waist Pack - Wineberry product video above for more details. 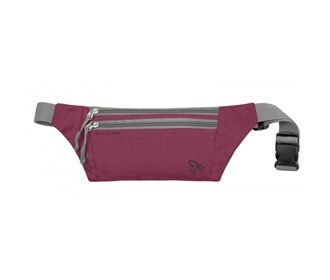 The Travelon Double Zip Waist Pack - Wineberry is sold as a Brand New Unopened Item.